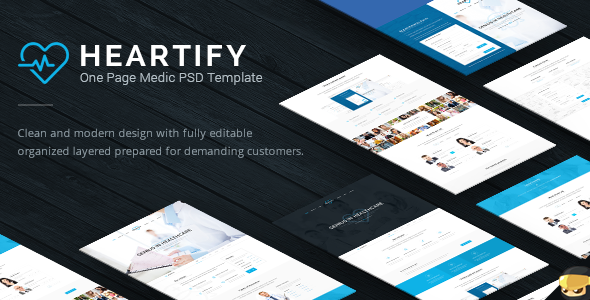 Heartify – modern and clean PSD template perfect for your clinic or business sites. Template was built on the 12 column grid (1170px) and grouped so you can easily prepare versions of HTML / WordPress. Go through our page and discover more amazing features of our theme. All the files are easy to work with and can easily be modified to get anything you need! Item Reviewed: Heartify - Medic One Page PSD Templates 9 out of 10 based on 10 ratings. 9 user reviews.